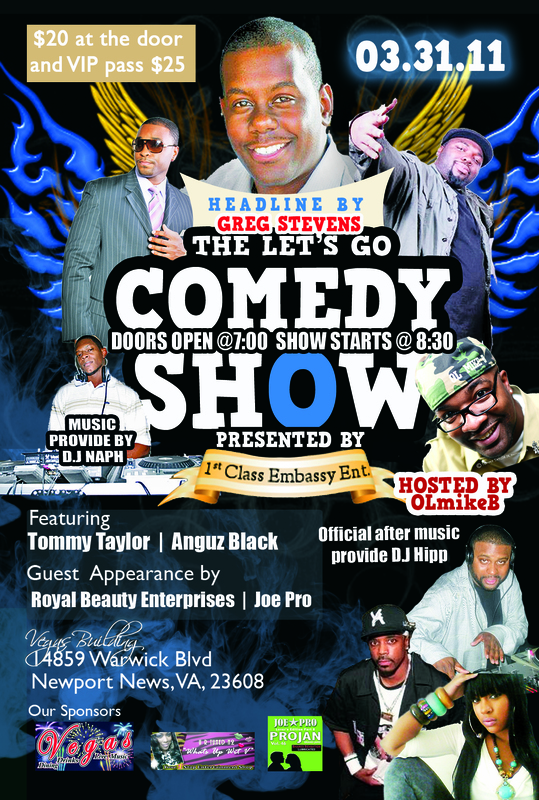 Thursday, March 31st to Newport News, VA.
Join Tommy Taylor alongside Comedians OlmikeB and Greg Stevens for “The Let’s Go Comedy Show”! NEWPORT NEWS!!! THE SHOW IS ONLY 2 DAYS AWAY!!!! Get your tickets now! !